Michael, who served as Vice President of Advancement at SGA from 1997-2003, was named President of SGA in May of 2017. Michael began his career as an account manager and supervisor at highly respected international advertising agencies from 1986 to 1995, serving major consumer brands. 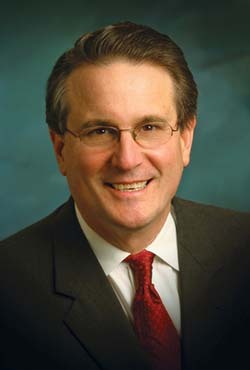 He later moved to nonprofit agency leadership at KMA Direct Communications and Douglas Shaw and Associates, where he served as Senior Vice President for 11 years before rejoining SGA. Michael is building on the solid biblical and ministry foundation laid by Peter Deyneka and Bob Provost, who will continue to serve as an advisor to Michael as President Emeritus. Beverly joined the SGA team in 1992 after several years in the business world. She worked as a financial analyst for Amoco Corporation - a Fortune 500 company that is now BP Oil. Beverly began at SGA as Director of Finance and Accounting, and served in that role for 24 years. In 2016 she was promoted to Chief Financial Officer. 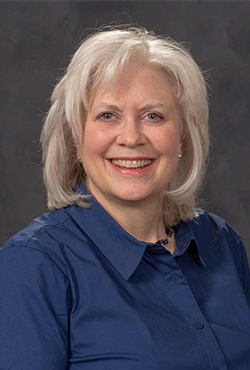 Beverly has a BS degree in Accountancy from Northern Illinois University, and is qualified as a CPA. She lives in Rockford, Illinois, with her husband Ron. Prior to joining SGA, Eric was engaged in military flight test and space systems integration for 16 years. While serving on the International Space Station program in Moscow, he developed a special love for the Russian people. Called out of aerospace into ministry in 2002, Eric travels and ministers throughout the Russian-speaking nations and the USA to serve faithful Bible-preaching churches. His passion is to see God’s people serve and live their lives on mission for the sake of the Gospel. He is also the pastor of River’s Edge Bible Church in Pecatonica, Illinois, where he resides with his wife, Kristi. Eric has a B.S. in Electrical Engineering, an M.B.A in International Development, and a Master of Divinity from Southern Baptist Theological Seminary.